Timelines are very useful in the planning stage of a project. It helps to determine the tentative deadlines and break a big project into small parts and achieve certain milestones at different stages of the timeline. PowerPoint timelines are the most prevalent in this connection. 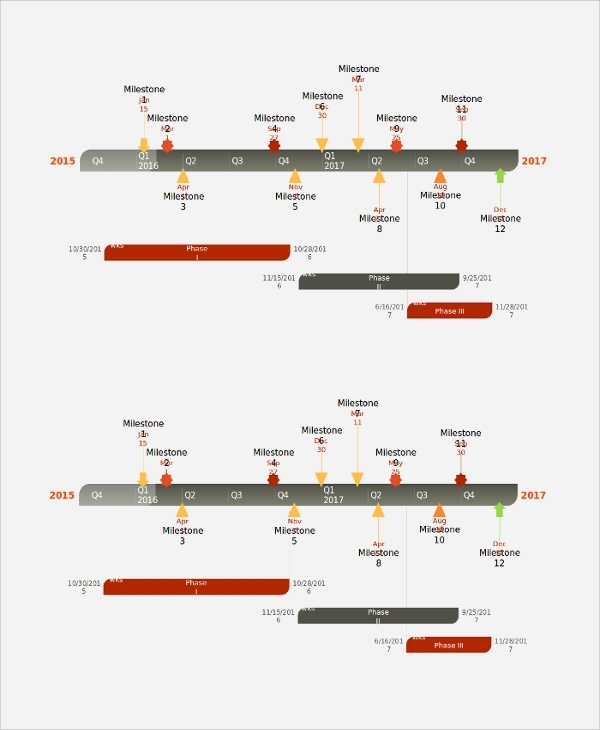 The following PowerPoint Timeline Samples have different models of representation of a project for the employees and the client to understand how the project is planned to be completed with a proper deadline. It also helps the management to understand the progress of the project and what is yet to be done. This is a graphical representation of the different phases of a project development in PowerPoint. It can be set by the managers for the employees to complete tasks in a specified period. It also helps to provide the clients with an understanding of the development of their project and how the company has planned for development to meet the deadlines. The illustration is eye-catching and clean with various graphical effects. 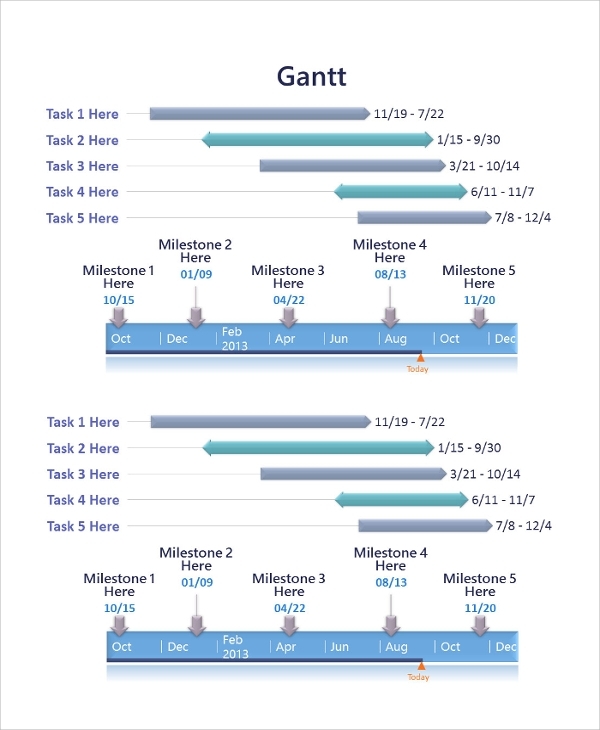 A Gantt chart is useful when a project can be divided into several modules, and independent teams can be allotted to carry out each task. It is used to represent the parallel operation of the operating system. 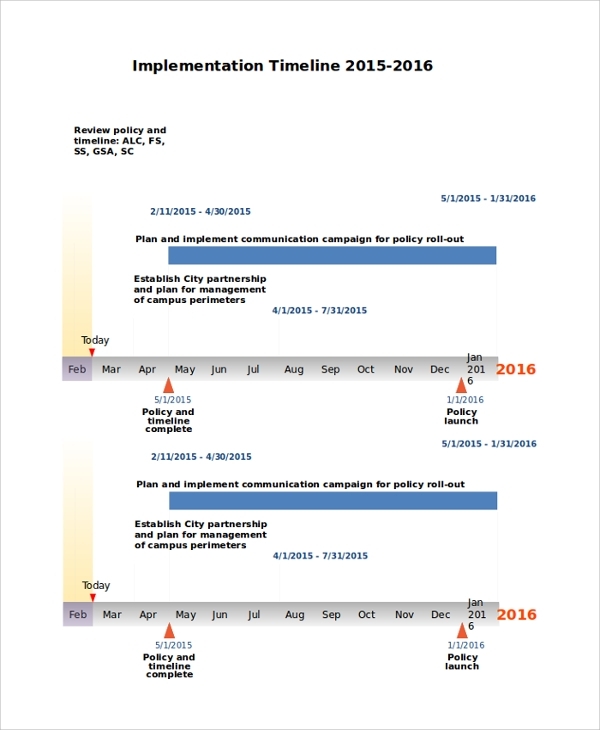 This PowerPoint Gantt timeline is immensely helpful in the planning stage of a project to draw the overall plan and tentative deadlines. It can be used to make the clients understand the working process and milestones to be achieved in the process. This is a graphical waterfall model representation in PowerPoint. It is highly effective when the deadlines cannot be fixed due to unforeseen circumstances in development. It is useful when the time limits need to be shifted from time to time depending on various parameters. It is best suited for planning purpose with tentative deadlines. It is a technical representation and represents the different stages and versions of a project development such as proposal, draft, review, approval and repetition of them. Timelines are very useful during the planning stage of a project. 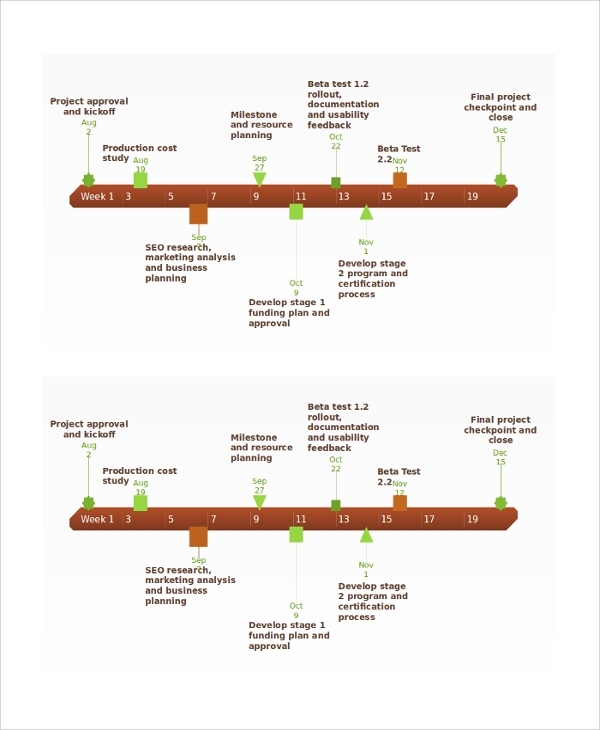 A timeline helps to mark the milestones of a big project and the corresponding deadlines for them. It helps both the management and the employees to complete the project in time by achieving the targets and milestones set. Even the clients can see clearly how the company has planned to execute the project and as per the dates in every milestone, they can release payment or enquire about the progress of the project. 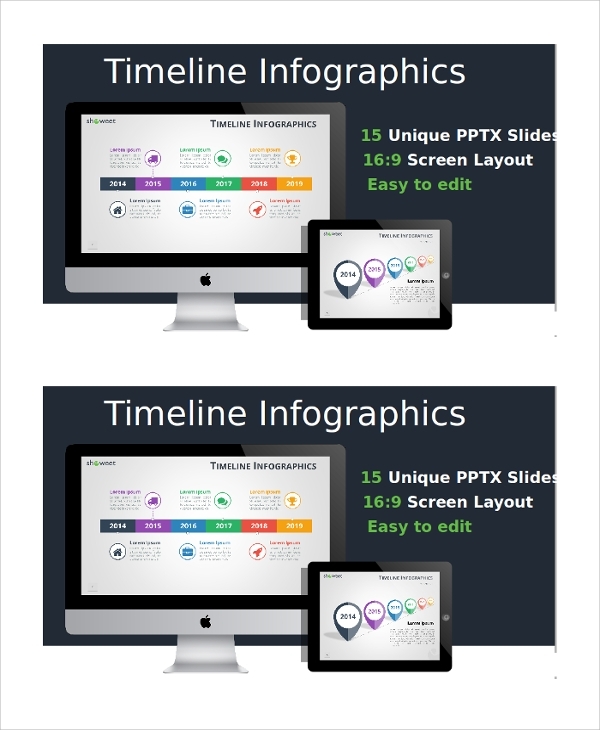 The above-listed PowerPoint Timeline templates are fully editable, and they are suitable for all the different types of projects. The targeted audiences for a PowerPoint timeline can be the clients, the companies, the employees and teams of the enterprise who are responsible for the development of the project and even the investors. A company can show the investors the planning of a project and the milestones that will be achieved from time to time to get them interested in investing in the Project Timelines. In a standard case, a timeline is formed regarding a project and forwarded to the client to understand when the project is supposed to be fully ready and how the company is working on it by dividing into sub parts and achieving milestones from time to time. It helps them to schedule the payment release upon successful completion of those milestones. 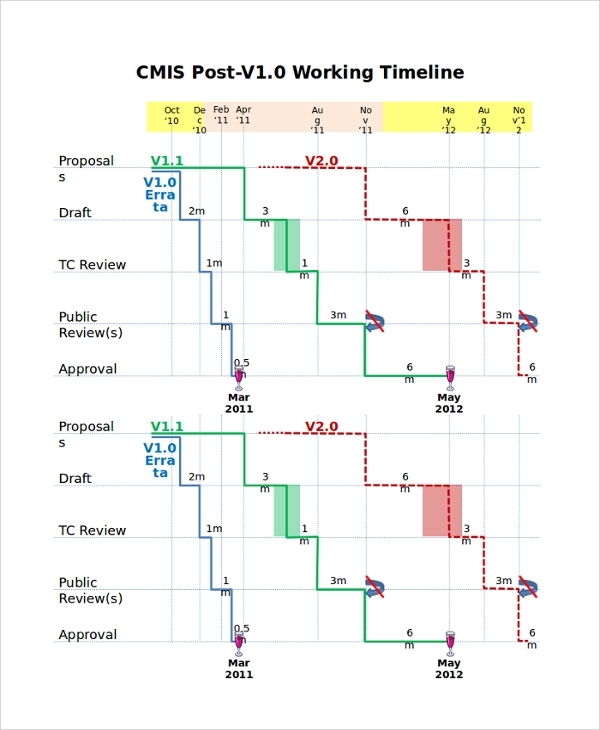 Management can keep track of the progress of the project as such timelines are guidelines for the employees and teams. 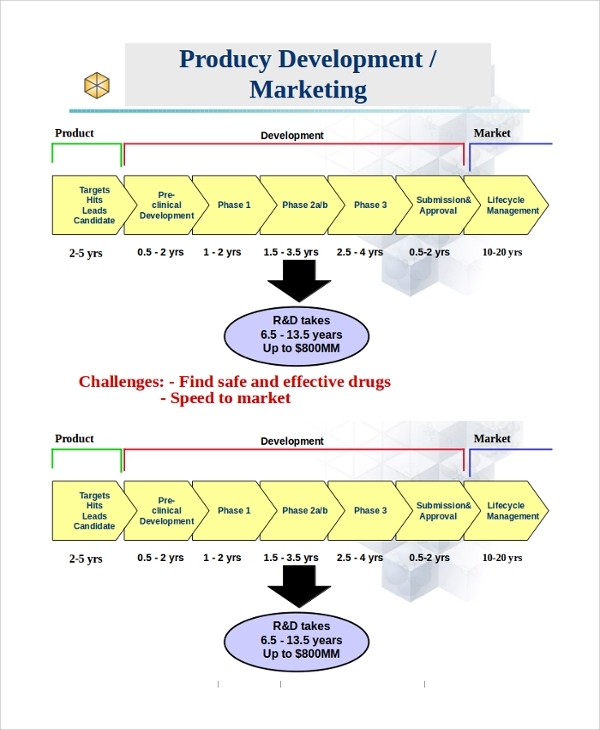 PowerPoint timelines help in representing a project, its development ideas and complete planning of dividing it into modules and achieving the milestones. It becomes easy for anyone to understand the process and thus, it becomes transparent to the company’s employees and the clients. Employees can maintain the tentative deadlines to achieve the milestones and eventually complete the project. On the other hand, the client can do the same and inquire about the progress and release the payment on successful approval of milestones achieved. 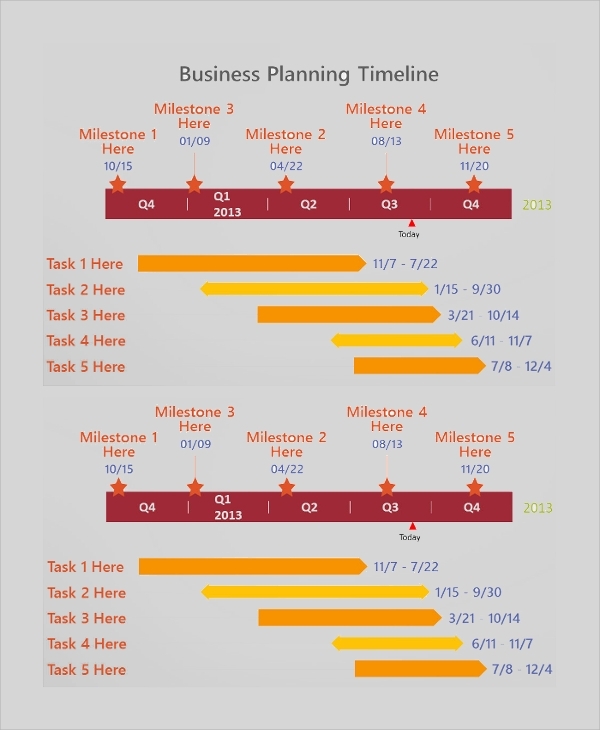 The above PowerPoint timeline samples are useful in the planning stage of a project to decide beforehand how to execute the project development. They offer different models of timeline representation depending on the type of project and the conditions of the client. There are Sample Timelines, Gantt chart, waterfall model and each one of them are specialized in their department.